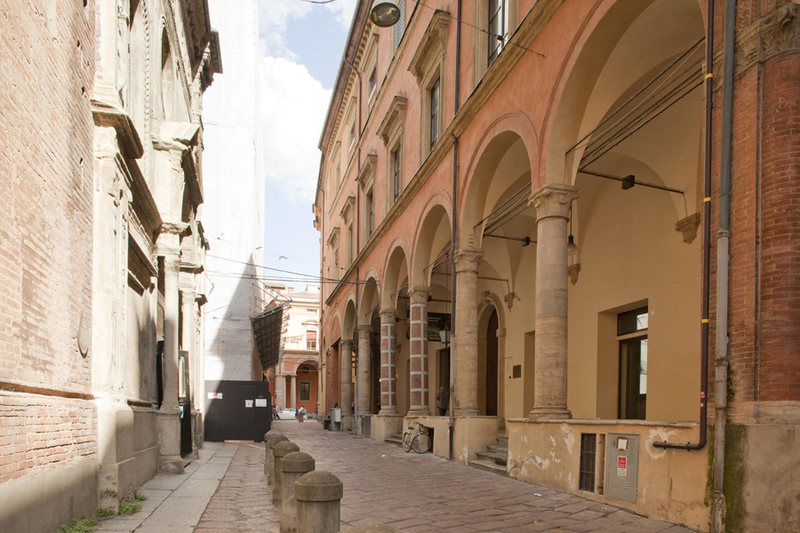 Palazzo Fava is one of the most prestigious historical buildings in Bologna. 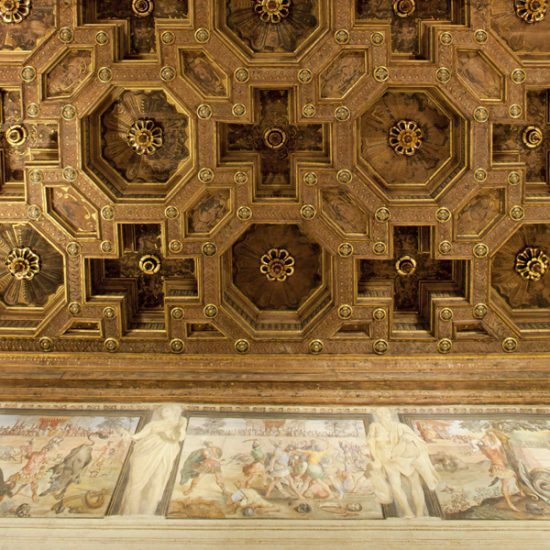 The building is an well-structured, architectural whole in which various levels and wings – which conserve markedly relevant decorative furnishings – intertwine. 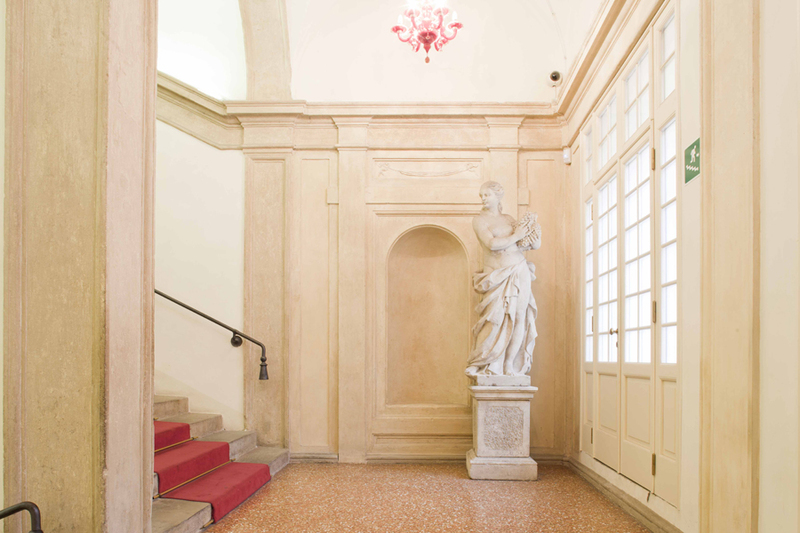 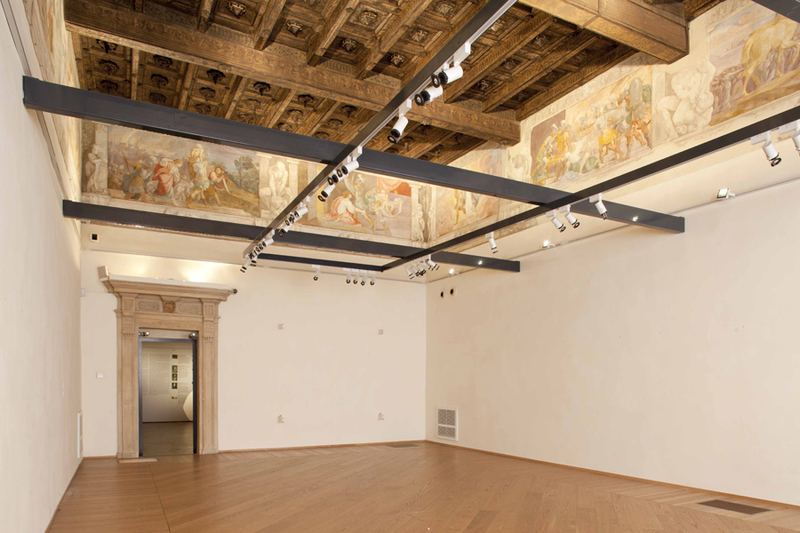 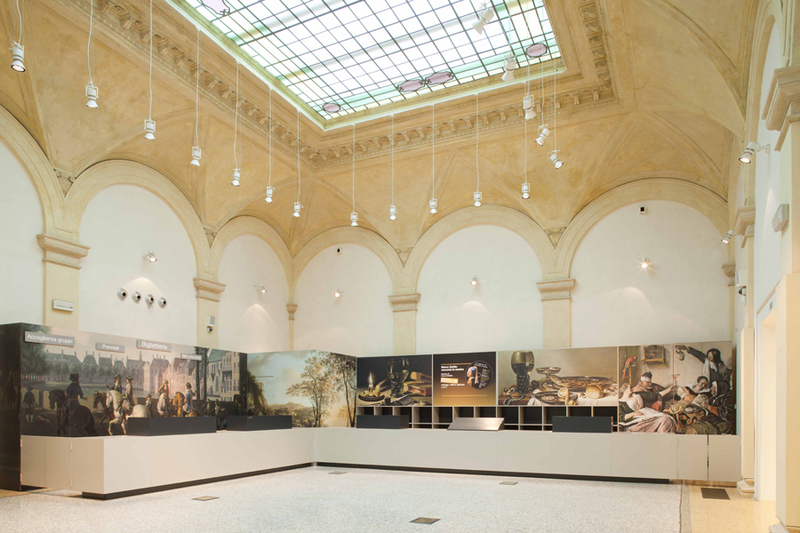 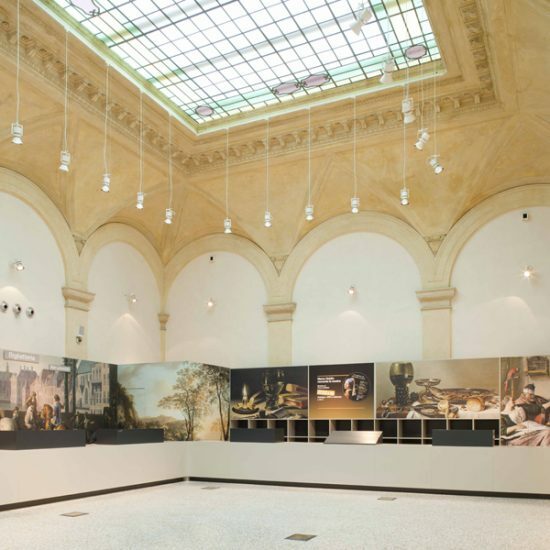 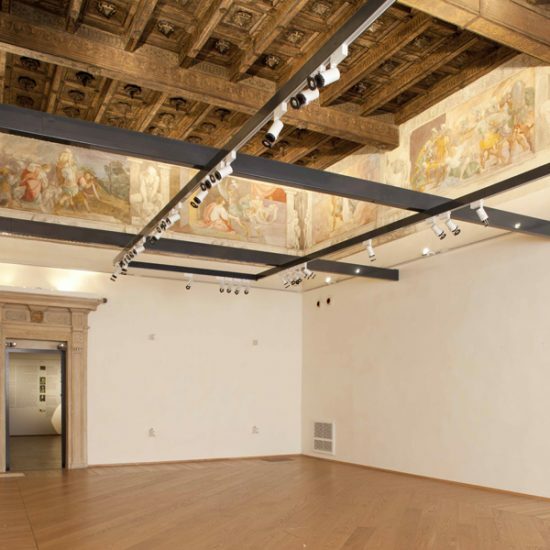 In particular, the first floor presents fresco cycles in high relief of artistic and historical importance, created by Annibale, Ludovico and Agostino Carracci and their school. 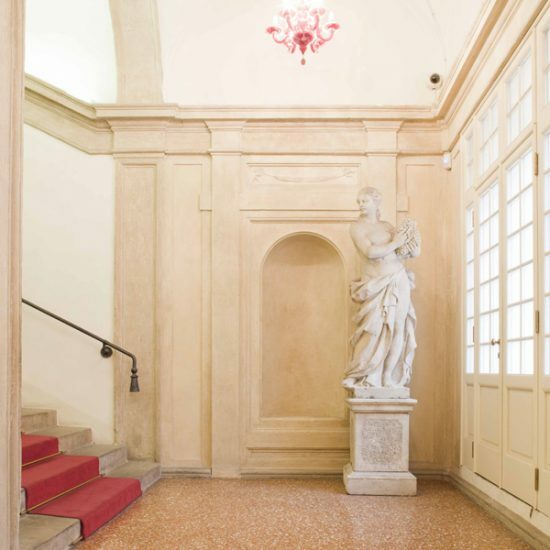 The fine, delicate restoration was concerned with the decorative surfaces and furnishings in both stone and stucco, present both in the interior and exterior of the historical building. 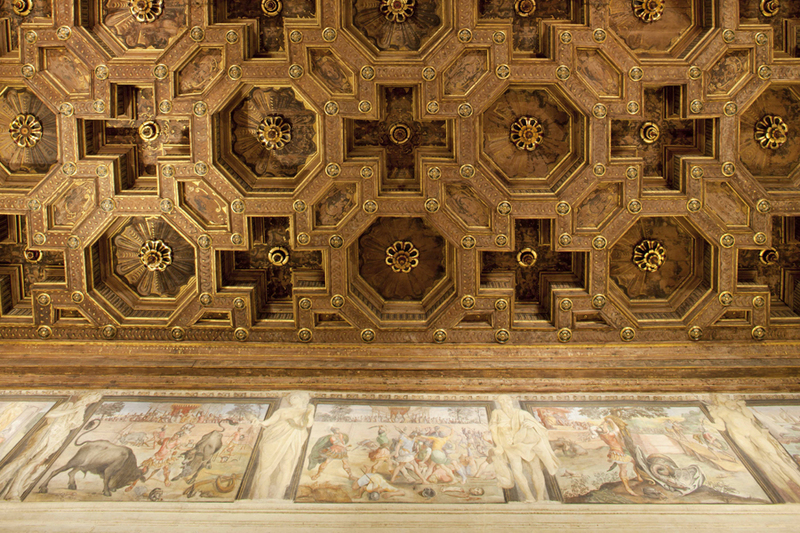 The most important sections of intervention were concentrated on the ground floor, embellished by the elaborate wooden ceilings and fresco cycles. 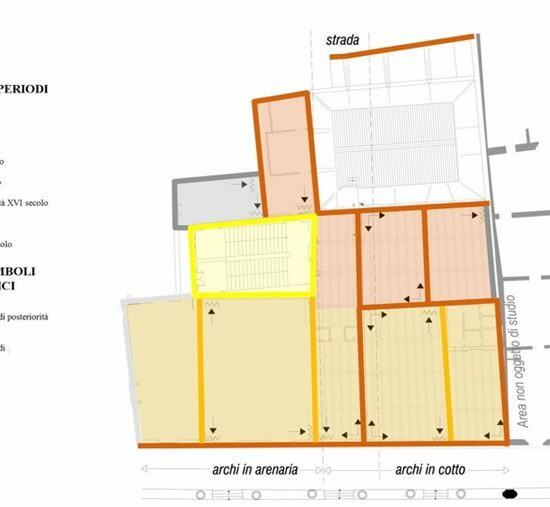 The complexity of the intervention required merging the expertise of the professionals with their matured experience in the various fields of conservation to produce an excellent result. 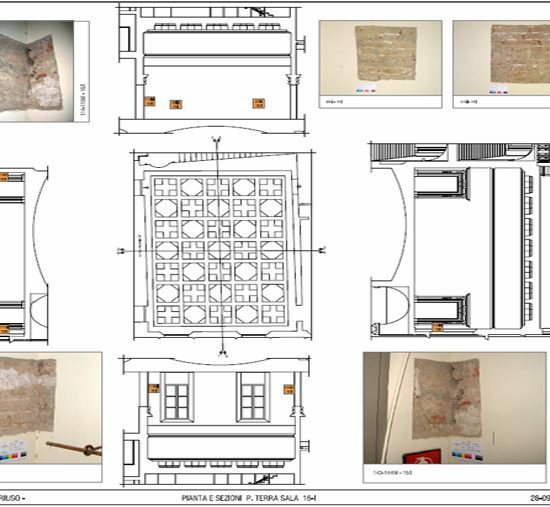 The outcomes of the preliminary stratigraphic and diagnostic investigations having been interpreted and evaluated, the solutions set for the single phases of the restoration were assessed in accordance with the Works Directions. 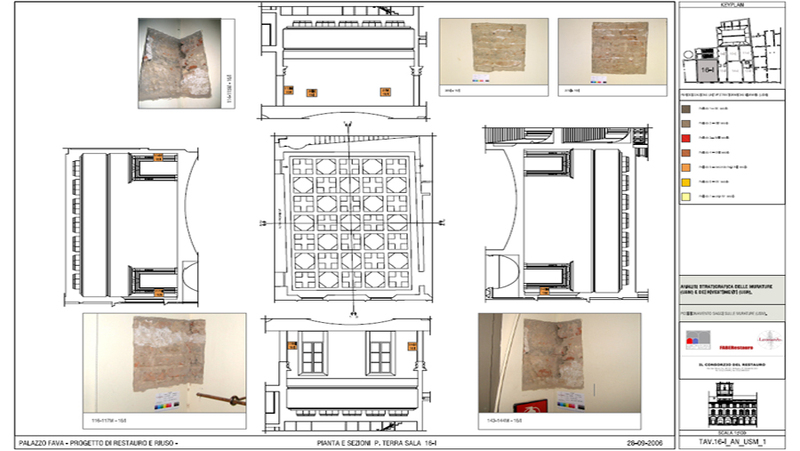 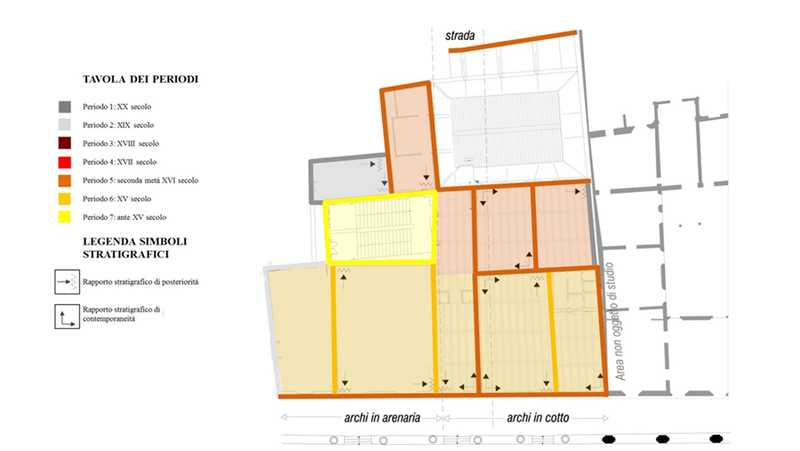 In particular – regarding the restoration of the wall paintings – a protocol of intervention by the restorers from the Opificio delle Pietre Dure (‘Hard Stone Works’) was put in place, with the assistance of the diagnostic analyses carried out at the scientific laboratory of the institute. 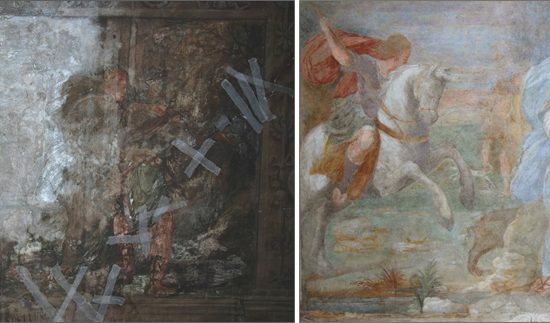 Prior to the intervention, the decoration was obscured and dulled by dust deposits and altered by material laid over it across previous restorations, such as repainting and filmy substances of various kinds. 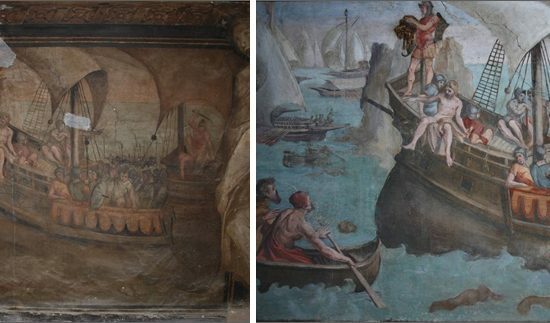 The paintings were affected by breakdown and detachment of the preparatory plasterwork and colours caused by previous water infiltration. 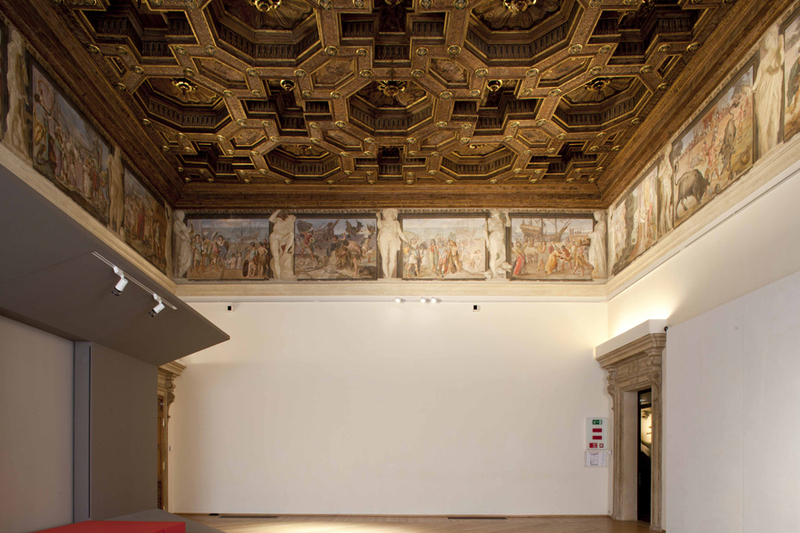 Both on the wall paintings and wooden ceilings, particularly notable areas of degradation were saved which had compromised the legibility of extensive decorated areas and caused the loss of sizeable pictorial fragments. 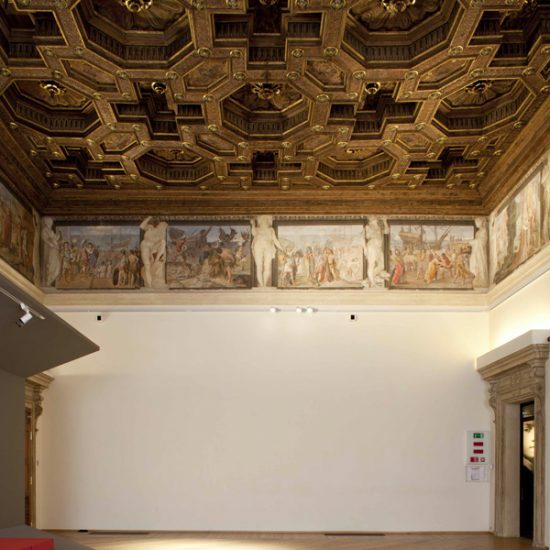 The restoration allowed for the recovery of the refined colour quality and the renewal of the correct conservation conditions of the works. 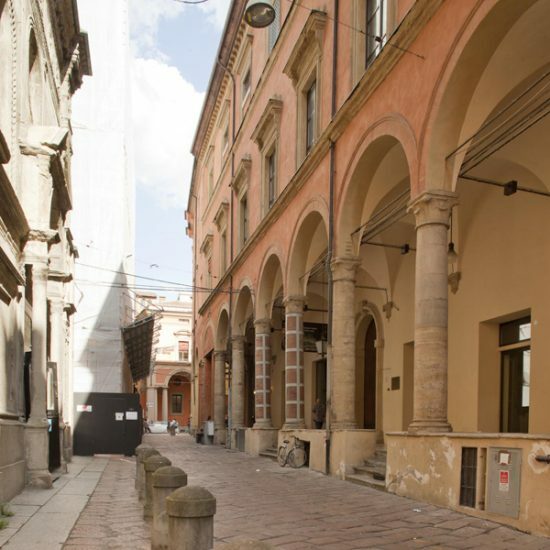 The finished works we can admire today are also thanks to the cooperation between the Opificio delle Pietre dure, based in Florence, the Authority for the Historical, Artistic, Cultural and Ethno-anthropological Heritage and the Authority for the Architecture and Landscape Heritage of Bologna.